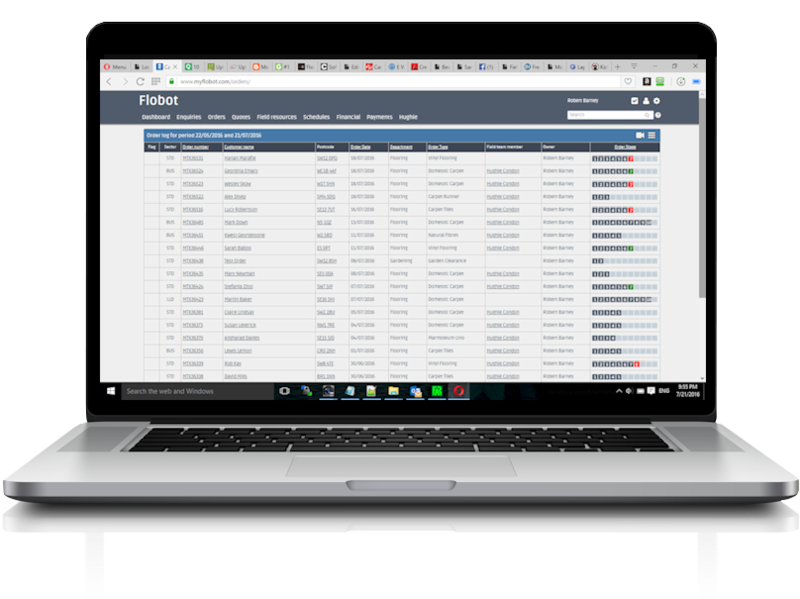 FieldNet is Flobot's app for field team members, allowing you to see everything that's happening on site in real time. 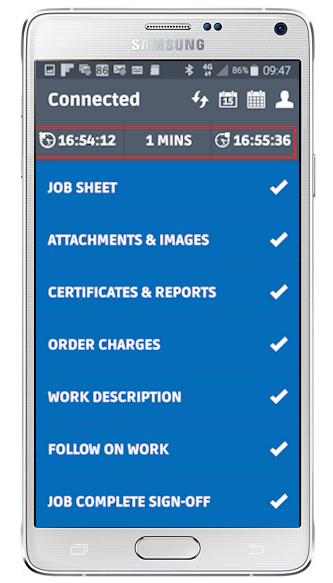 The easy to use app combines schedules, electronic job sheets, pricing mapping and geo-location tools, so it will quickly become the sharpest tool in the toolbox! It takes away the need for paper job sheets and means you don't have to wait for paperwork to come back in to the office. You'll know that in business, getting your customer to sign-off work that's been completed is an important way of protecting revenue and avoiding disputes. FieldNet allows you to capture these signatures electronically and transmit them alongside the job data safely and securely. What's more, payment can be is instantly taken from customer's stored card data and that means you get paid as soon as the job is done - great for your cashflow. Thanks to FieldNet's built in, secure GPS functionality, you can see where all of your field team members are in real time on a map. The 'En-route' button lets your client your field team member is on their way by sending an SMS, and FieldNet will even calculate their ETA. Every check in and check out is geo-location stamped so you'll always be sure that your engineer is at the right place at the right time. Many service industry sectors require completion of certificates, such as Gas Safety Certificates or Waste Transfer Documents and these have historically been paper based and cumbersome. FieldNet's suite of electronic forms, coming anytime soon, means you can ditch the triplicate pad and complete your certificates and documents electronically. Simple, efficient and quick.